It is common for me to blast color on paper, edge to edge with twisting and twirling images. Sometimes though, I paint art for children. The showcase piece today is called "Becoming Me". Two other pieces are included in this entry as children's art. She's a little ballerina girl growing from the garden. 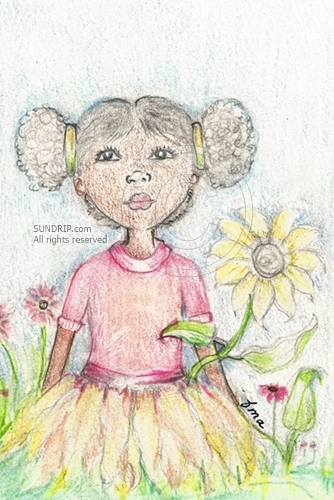 The young girl with the pom pom hair style sits quietly in a garden of pink flowers and a sunflower. The drawing is very gentle, delicate which is what I like about it the most. This is one of the paintings first drawn when bed bound for several months. Incidentally, she was colored while in bed a few days ago. It seems many, many pieces are being created right here in bed. I've got the bed well covered with heavy tarp while painting. Not a drop of paint ever touches any part of the mattress. If you would like to know more about the Lullaby Collection, please see the About page in my Etsy shop. Becoming Me is on heavy paper at 4.5 x 7.5. 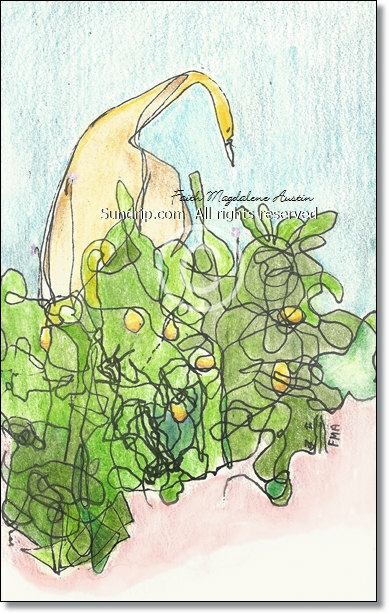 I used colored pencil and watercolor to create a delicate, dreamy moment. 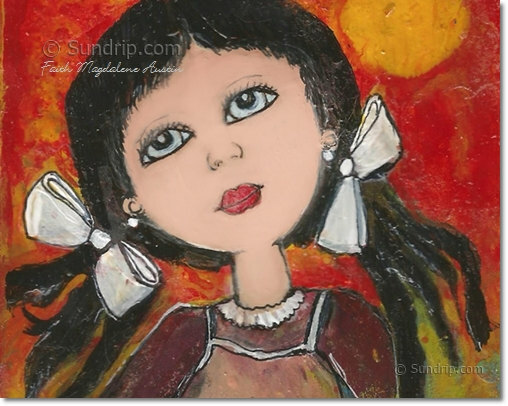 If you are interested in "Becoming Me" or any other showcased painting, please visit my Etsy shop. You may contact me with PayPal as payment. Previous article:Mid July Trip. Kids. Sleep. Meds. Next article:What’s wrong with me? An inner conversation.